In Episode 5, the community prepares for the annual Summer Fete including a baby show. Nora Harding, an impoverished mother of eight has an unplanned and unwanted pregnancy, while Jenny is confronted with the legalities involved surrounding this in the late 1950s. Nora takes matters into her own hands and the consequences are almost dire. Sister Monica Joan fakes angina to avoid going on a prayer retreat instead wanting useful work. Sister Bernadette and Dr. Turner struggle with their attraction. This was a very emotional episode starting with Jenny’s older reflective voice recounting that families in the Poplar community tended to be large and that somewhere, far away, scientists were working on a magic pill rumored to make pregnancy a choice; but that news of it reached them like another galaxy. As a modern day certified nurse midwife (CNM), this episode truly made me think about planned and unplanned pregnancies, the history of contraception, reproductive rights and choice, compassion and empathy. According to Finer and Zolna (2011) almost half of American pregnancies are unintended and approximately 40 percent of these unplanned pregnancies are ended by abortion (see Guttmacher Institute link below for more stats on abortion). Since the beginning of time men and women have attempted to control fertility. There are an array of factors that impact the provision or inhibition of birth control. Strong moral sentiments, economic and social class factors, religious beliefs, familial and gender relations, and political as well as legal constraints are some of these factors. I love history and the evolution of contraception is very interesting. There have been devices, potions, magical charms and chants, and then the modern progress of science and research. The oldest known technique was mentioned in Genesis, the withdrawal method (coitus interruptus). Barrier methods were documented as far back as 1550 B.C. with an Egyptian papyrus manuscript which gave instructions on how to mix dates, acacia and honey into a paste, smear it over wool and use it as a pessary to prevent conception. Casanova’s memoirs (1700s) write of his experimentation with sheep’s bladder and intestines as condoms and using half a lemon inserted over the cervix. We owe the development of the Pill to two feminists, Margaret Sanger and Katherine McCormick; a biologist, Gregory Pincus; and a gynecologist, John Rock. The first human trials of the Pill were conducted in 1954. Today at least 10 million American women and 100 million women worldwide use oral contraception (Guttmacher Institute). 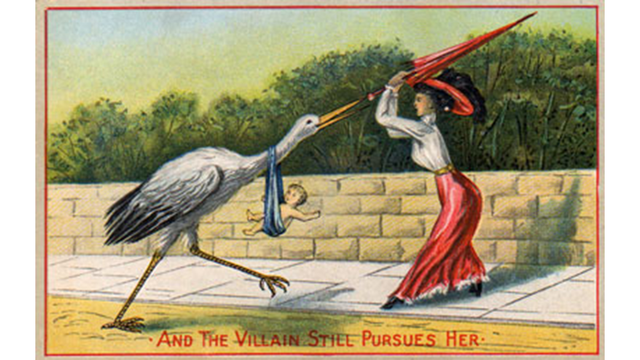 In 1873, U.S. Congress passed the Comstock Law, an anti-obscenity law whereby all information regarding contraception was declared obscene and it was criminal to disseminate this information. It was in 1916 that Margaret Sanger opened the first family planning clinic in Brooklyn; however, it was shut down within 10 days. She founded the American Birth Control League in 1921. It later became the Planned Parenthood Federation of America, and today one in five women in this country have turned to Planned Parenthood for health care. It was not until 1938 that the federal anti-obscenity law regarding contraception was lifted; however, birth control remained illegal in most states throughout the United States. It is hard to imagine that it was not until 1965 that the Supreme Court struck down state laws prohibiting married couples to utilize contraceptive methods. Although it did not prevent pregnancy, abortion and infanticide have also played a role in determining family size throughout history. The criminalization of abortion did not decrease the women that sought these routes. There are no statistics or records that could be kept documenting the women that suffered serious complications or death due to unclean methods and untrained personnel. With the Roe vs. Wade ruling, in 1973, the right to have an abortion became a legal right for all American women. Anti-abortion violence limits this option. The Guttmacher Institute(see link below) outlines individual states and how they have constructed a lattice work of abortion law, codifying, regulating and limiting whether, when and under what circumstances a woman may obtain an abortion. Jenny states at the conclusion of the show, scientists triumphed and with reliable contraception daughters' and granddaughters' lives were transfigured. Today we find that we still have work to do and rights to defend. The quote by Sister Monica Joan was poignant: “When do you suppose babies became so very precious? Are they more valued now because they can survive or do they survive because they are more valued?” It does make us reflect. Assist women with decreasing unintended pregnancies — with 50 percent of pregnancies being unplanned we need to make sure women know their contraceptive options and discuss their effectiveness, method convenience, advantages and disadvantages, how to use, cost, anticipatory guidance with potential risk factors and side effects, and reinforce correct and consistent use. Education about protection from sexually transmitted diseases. With unintended pregnancy, openly discuss options, including adoption. Be open and present, listen and be non-judgmental. Here are some really interesting links and resources that I will explore in our University of Michigan Nurse Midwifery clinical conferences. UpToDate: Birth Control – Which Method is right for me? Finer, L.B. & Zolna, M. R. (2011). Unintended pregnancy in the United States: incidence and disparities, 2006. Contraception. 84(5), 478-485. Asbell, B. (1995). The Pill: A Biography of the Drug That Changed the World. New York: Random House.